With its five-mile long golden-sanded Turtle beach, surrounded by salt water on one side and fresh water on the other; the Lycian Rock Tombs and the glorious Mud Baths; Dalyan sparkles as one of the most unique corners of the Earth. 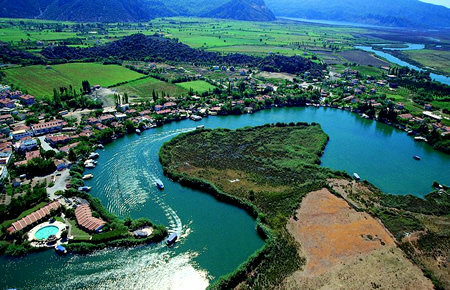 Once in the resort after a coach journey, you will be taken further on river boats to visit the sights of Dalyan. The river boat cruise through tall reeds and maze-like passages of the Dalyan Delta will surely remind you of Humphrey Bogarts's The African Queen. Stop over at the magnificent Rock Tombs of Caunos carved high in the cliff. Let yourself be carried back through history as your guide tells you the beguiling story of the ancient city of Caunos. And finally the Source of Youth; The Mud Baths. It's fun, it's rejuvenating and it surely is, a great chance for a hilarious snapshot! History, Nature, Fun! 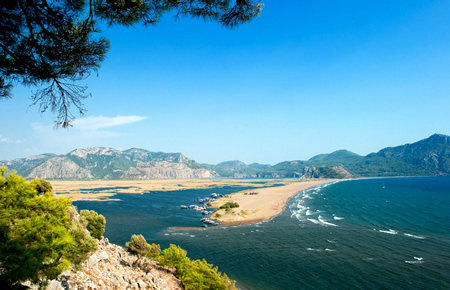 All in Dalyan!